For the 3rd year in a row and meeting with huge unprecedented response to the previous posts about the bravery awards, we present to you the bravery awards for this year. This year, 25 brave kids have been awarded for their selfless acts and unmatched valour. Sadly, four of them have been bestowed with the honour posthumously. Although efforts were made to tell each and every story, more details on 3 stories could not be found. A general description has been given in that. Late Kumari Tarh Peeju (Bharat Award) - The 9 year old braveheart perished while saving two of her friends from being drowned in the Pachin river, Arunanchal Pradesh. 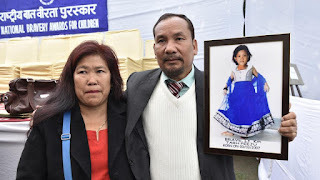 On May 19 last year, Peeju had joined her cousin Tarh Charu and friend Phassang Marry who were attempting to cross the river at Jollang village to go to the other side. All of a sudden, Peeju saw her friend and cousin being washed away by the strong undercurrent of the river. Throwing away all caution, Peeju jumped into the water braving the strong current of the river, found her cousin and friend and dragged them to safety. However, after an exhaustive struggle, she herself was submerged and washed away by the strong current. She was a student of class 4. Sumit Mamgain ( Sanjay Chopra Award) - He displayed outstanding bravery in fighting a leopard to save his cousin's life. "We were going to a nearby field to graze cattle. A leopard that was hiding in the bushes attacked us. Holding its tail, I hit it with a chopper. It went away and came back after some time. This time again I hit it with same chopper and it fled." Shivani Gond and Tejasweeta Pradhan (Geeta Chopra Award) – They acted as decoys to gain the trust of traffickers, allowing police catch them red-handed. The girls, both from the hill district of Darjeeling in West Bengal, befriended the traffickers on Facebook in May 2016. They then spent days communicating with them by telephone, convincing the traffickers that they were willing to run away from home before leading them to the police. Traffickers also targeted the two schoolgirls Gond and Pradhan, but were unaware that they were part of an operation jointly organised by police and an NGO. Late Kumari Roluahpuii ( Bapu Gaidhani Award) – She sacrificed her life in her bold and selfless act of saving two of her friends from drowning. Late Kumari H Lalhriatpuii ( Bapu Gaidhani Award) – She sacrificed her life while trying to save her younger cousin from a car which was rolling down a steep slope. Master Tushar Verma ( Bapu Gaidhani Award) - Risked his own life, extinguished a fire in his neighbour's extinguished a fire in his neighbour’s shed and saved many cattle. Kumari Siya Vamansa Khode - One day during a summer vacation, Siya was playing with her four-year-old brother and cousins at her uncle's house in Hubballi. As the kids were heading towards the rooftop, Siya realised that her brother was nowhere to be seen. She was then startled to find the boy still and speechless holding a live wire passing through an iron grill. Siya realised what had happened but also knew that touching her brother would electrocute her too.In a split-second decision, she held her brother's shirt and pulled him towards her. Though the first effort was unsuccessful, she got her brother detached from the live wire in the second attempt. As her brother fell unconscious with a wound on his palm, Siya screamed for help. Her parents rushed the boy to a hospital and his life was saved. Master Mohan Sethy - He saved his friend from drowning. Mohan along with his friend Sabyasachi had gone to a river to take bath. However, Sabyasachi lost his balance and slipped into deep waters. Seeing his friend drowning, Mohan shouted for help but to no avail. He then desperately dived into the water with a piece of cloth to save his friend. He dragged his friend to safety with the help of a cloth. While Sabyasachi is also of the same age group, the young boy’s bravery and presence of mind has earned much appreciation. Master Sonu Mali – He had never seen a cobra until September 21 last year, but on that day, as the snake sat prepared to attack Mali’s classmate, he held the reptile with both his hands and took it to a field nearby. "I wasn't at all scared. For me, it was important to save my classmate from the snake." His mother, Rameshi Devi, was petrified when she heard his story. "I scolded him saying, 'Why did you have to risk your life'. To which he said 'I had to save his life'," she said. Kumari Akshita Sharma and Master Akshit Sharma - The sister and brother duo fearlessly confronted two miscreants, who had broken into their house, and helped capture one of them. They were returning from school on December 8 last year to their home in Malviya Nagar , Delhi when they found the iron door of their ground floor home open. “I peeped through the window and saw two burglars. We caught hold of one of them and handed him over to the cops,” said Akshita. Master Moirangthem Sadananda Singh - Having lost his father at a young age, Singh is very attached to his mother, with whom he stays in Manipur. So, when she got an electric shock, his only thought was to save her. “There was a short-circuit at our home and a three-pin socket, which was plugged in, exploded. She tried to unplug the socket but ended up getting an electric shock. I remembered studying that wood is a poor conductor of electricity, so I hit her hand with a wooden stick to weaken her grip. I then ran and got a blanket to put the fire out,” he said. Kumari Neelam Dhruv – She had gone to the nearby Sheetla pond with 4 year old Tikeshwari. Suddenly Tikeshwari fell into the pond. “I jumped in, caught hold of her hair and pulled her out”, said Neelam. Her desire to help others’ lives also comes from seeing her father’s death at an early age, said her uncle Sitaram Dhruv. Late Kumari Payal Devi – A cloudburst lead to swelling of all rapids in the Ramban area of Jammu and Kashmir. Rakesh, Shefali and one other got trapped in the flash floods . Payal tried to save them but unfortunately all four were washed away. 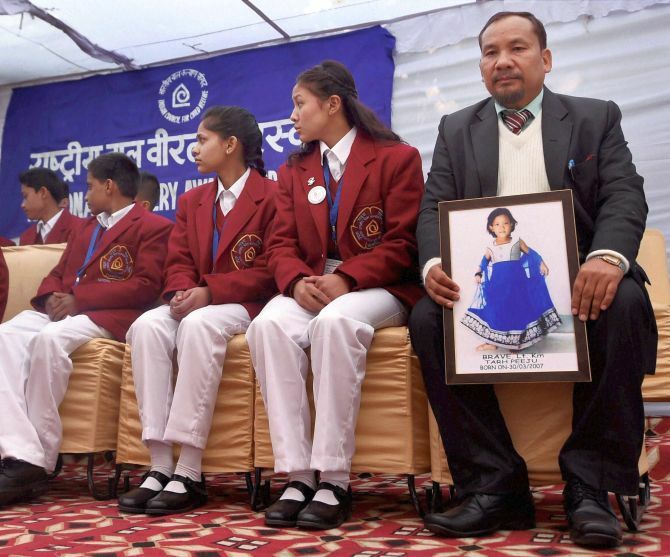 Master Praful Sharma - This class 5 student saved lives of 20 classmates while on a picnic in Dharmshala. When his schoolbus stopped in Shivdwala, some children and teachers deboarded. One kid mischievously disengaged the brakes which made the bus start rolling backwards into a gorge. Praful, having seen the bus driver and his father use brakes daily, used the brakes and turned on the ignition. The bus jerked forward and stopped. Thus he saved many lives by his quick and prompt action. Kumari Anshika Pandey – This Lucknow gal was on the way to her school on her cycle one morning when a SUV stopped near her and the driver stopped the vehicle on the pretext of asking an address. Suddenly, the people at the back opened the door and tried to drag her inside. She quickly put her schoolbag in the door to prevent it from closing and started screaming. She fought back when one of the men tried to open a bottle containing a liquid which seemed like acid. Although injured in the scuffle, her self defence skills meant that she fought off her abduction. Kumari Nisha Dilip Patil – She saved the life of 6 month year old Purvi who was trapped inside a room which was on fire. She was on her way back from college when she saw her neighbouring house on fire and jumped into the fire to save the child. Master Binil Manjaly - He was returning by car with his family when his sister saw a 10 year old crying and running behind passing by vehicles. The moment they stopped their car, the child requested them to help them rescue his family members who had fallen into the Periyar Canal. He immediately jumped into the 20 feet canal without caring for his own life and pulled out one lady from the waters. He jumped in again to rescue the remaining members but could not find them. 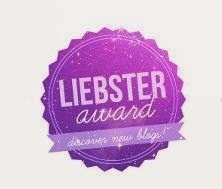 He was awarded the medal for his selfless act of bravery towards complete strangers. Master Akhil K. Shibu - He saved two people who were drowning in the Pampa river. Kumari Badarunnisa K.P – She valiantly risked her life to save her friend and her mother who were drowning in a pond. Master Adithyan M.P. Pillai – He saved 3 people from drowning in the Pampa river. Master Tankeswar Pegu – He saved people from drowning. Master Thanghilmang Lunkim - He saved the life of another student after the latter had fallen into a river while crossing the Mezoma Bridge. While on his way from school, Lunkim saw the student being washed away by the force of the current, prompting him to jump into the river and save his life. Master Naman - While holidaying with his family at his relatives place in Sonipat, he noticed a child being washed away in the strong current while retrieving his footwear in the Bawana canal. He jumped into the 12 ft deep canal and saved the child from drowning.